I have this figure and he is one of my favorites. I agree with others that he could be 1/2" taller and his wings I hit mode are a tad large. I found that by separating the wing tips and then folding them back it looked much better, not perfect but better. I don't think there will be a better version. I’ve had Provider awhile and I really like him. He transforms nicely, and feels solid. IMO he’s the best version of Octane you can find. There’s a couple of minor complaints, his gun feels a little small (but still looks good), and no detachable tail rudder to make a shield. But if you can deal with that, I recommend him. I enjoy transforming him. After I got him I think of him now every time I pull behind a tanker truck on the road. First review on here. Let me tell you I was excited for this figure. It didn't disappoint until the THIRD transformation from bot to truck. His left wing came off. Ratcheted on by a tiny screw. Very disappointed ! Yes, it's awesome. It looks great in all modes, and the transformations are interesting and enjoyable. I only wish a few more steps had been taken to make it nicer (I think most collectors would pay more for an even better figure). That is, it would be nice to have some detail on the plane fuselage, such as windows--(yes I know it's supposedly a refuelling plane, but that's only because it doesnt have windows!) And to have the truck separate from the trailer would have been nice. Still, this is my equal favourite figure of all time. Awesomeness captured in plastic. My son and I enjoyed the challenge of transforming this guy. Very complex, which we enjoy. Worth every penny. Very similar to an Oshkosh heavy tanker with the grill chromed out. This figure is genius in its engineering and at a fitting price point. Everything in the transformation for this figure just makes sense and is rather pleasing in each mode. TIP: you can leave the robot feet down on their hinge to close the gap under the plane in jet mode. It just makes the transformation a little more complicated (clearance issues) but I do it for the more solid jet underside. This figure looks really good and is actually quite fun to transform. 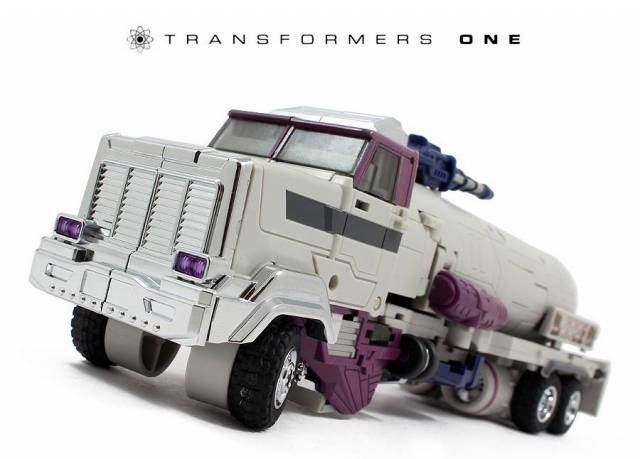 That said if they ever release a up-sized version of this that is an inch or so taller in robot mode that would be dreamy. Best Octane out there right now. My best Transformer of 2015! The figure is amazing in all modes, and is a near perfect MP rendition of Octane. However, I gotta take a star off for some really tight joints that are almost too scary to try and move, minor chrome flaking where sprue marks are, and also some of the purple paint was applied too thick and has some drip marks. I don't plan on transforming him a lot so it isn't too big of a problem, but I worry if I did transform him a number of times he would lose some chrome. Is he worth $120? Yes, because I love the character and he has incredible engineering. If you aren't a fan of Octane though and are looking for just good decepticons, pass. Had a preorder down for provider back in mid Sept after seeing Peaugh review this guy and a few others. 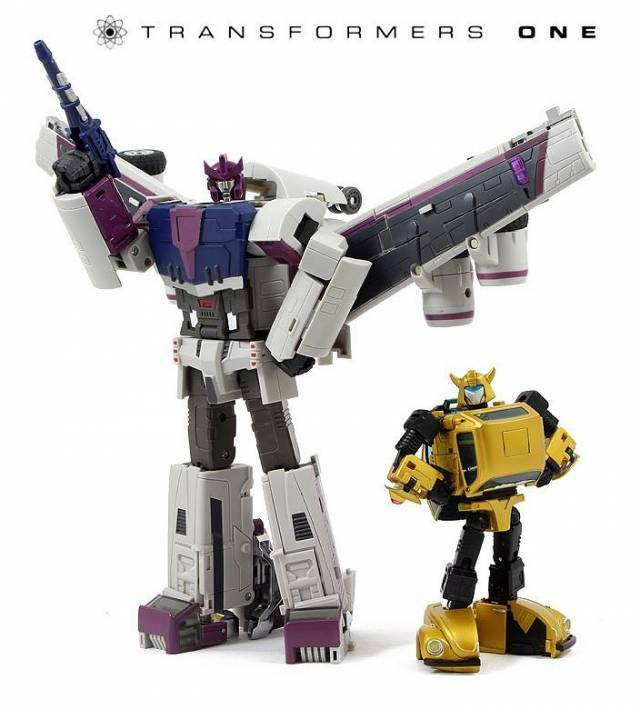 Unique Toys has nailed a perfect representation of Octane in a masterpiece scale after the fandom waiting for about 7 years since the universe version came out. Slightly over 8 1/4 inches tall he fits in scale with the autobot cars in robot mode and the seekers in jet mode. Sadly tanker truck mode not much really scales well unless you have the current RID figures or generations deluxes. 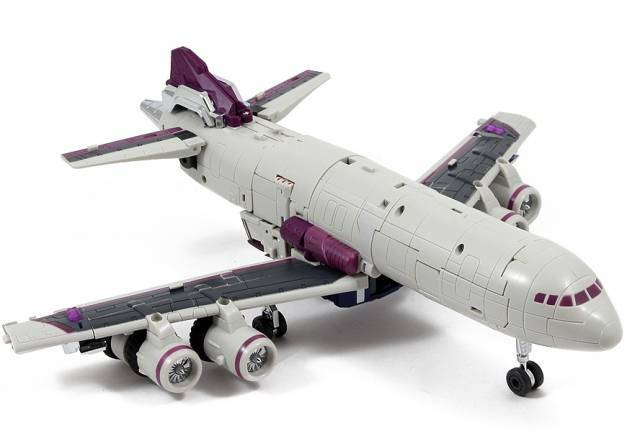 Transformation from tanker to jetliner was easy and didn't even need the instructions once. Jetliner looks spot on to a boeing 747 with the four engines and wingspan. Jetliner mode is by far his best mode while robot mode is decent. The massive wingspan from jet mode carry over into robot and i do agree with most that the wings should be just a bit smaller. 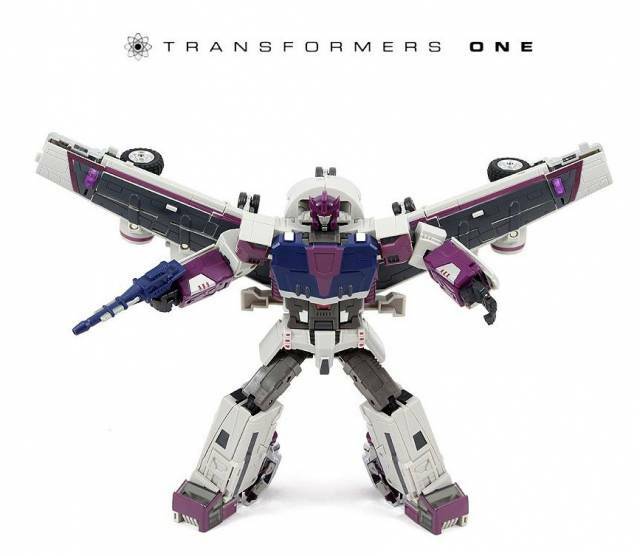 Looking forward to seeing Unique Toys bring us more triple changers. Would love to have a Sandstorm standing next to Octane and chatting it up over some energon at the spaceport enroute to Cybertron. This is a great toy. I was worried that since it is a triple changer that there would be a mode that was so so or difficult to transform to, but all the modes were unique transformation. All the modes looked good and I have no major complaints. Definitely would recommend this.